Also called the "TV rock" or "television stone," ulexite is known for its unusual optical characteristics, notably its ability to transmit images through its natural fibers. A piece of writing placed underneath the stone appears on the surface of the stone! Ulexite was named for German chemist G. L. Ulex, who first correctly analyzed the species in 1850. Most specimens are milky and very poor quality, but those stones that are cut as cabochons often display a strong cat's eye effect. Ulexite will decompose in water and can be chatoyant. Ulexite is a natural fiber optic material and is called television stone because well polished stones appear to transmit writing below the stone to the surface of the stone. 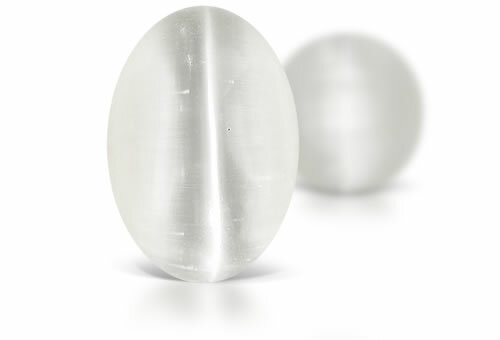 Ulexite has a silky luster and tightly packed parallel fibers.